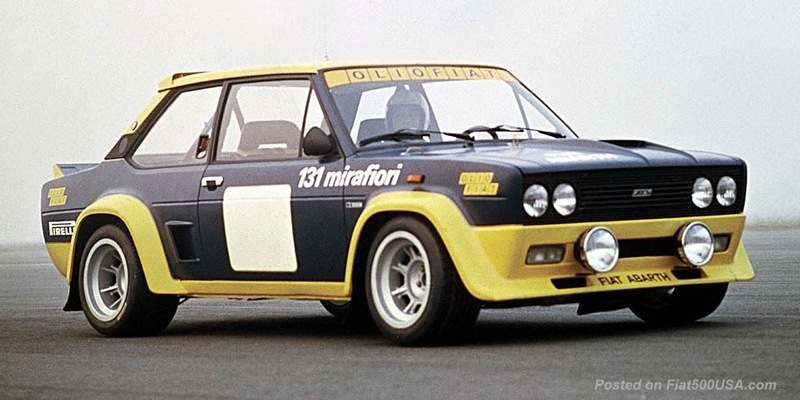 I would like to introduce Fiat to people who aren't familiar with this historic company. Many people think of Fiat as just a maker of small cars and equate smaller cars as not real cars. This could not be farther from the truth. It's easy to understand from the country that has as a slogan "bigger is better" as most people aren't automotive experts so relaying often repeated but misguided and fundamentally wrong information is easy to be taken as fact. Just because a car is small doesn't necessarily make it any less of a complete car. Successful small car design is a challenge. Here are just some of the challenges faced by automobile companies. The basic facts are that fitting 4 or 5 full size people into a smaller space takes a lot of design and engineering talent. This talent costs money. Now combine the safety standards that automobiles must meet without having the luxury of a lot of extra space (that can be used to absorb impact) and you can begin to see the challenges a car maker has. But there's more. Let's talk about the powertrain, The easy (and cheap) way to make power is to have a large engine. It doesn't take much engineering or design talent to get decent hp out of a large displacement engine. But in a small car, a powertrain has to produce enough power but can't be physically large because it won't fit into the allocated space. Without the luxury of size, it takes engineering acumen to produce sufficient power and also maintain good fuel economy. Also it is more challenging to produce lower exhaust emissions from a higher tuned engine. Everyone likes to have a nicely riding car. Large heavy cars and oversized heavy axles help dampen up and down ride motions. A smaller car doesn't have that luxury either. The small car must rely on well designed, often sophisticated suspension with careful tuning of spring and shock absorber rates to compensate for the loss of the large mass that is useful in damping suspension movement. Styling also is a challenge because long flowing lines on a car is traditionally what people take as a good looking car. so making a stubby car look pleasing can be a challenge as it goes against the tradition. As you can see through these brief examples, there is considerable expense coming up with a well thought out small car design, now factor small cars in the USA are traditionally marketed as less expensive and you can see how they are not popular for some car companies. The hard to find talent and the money needed to produce them cause some companies to take short cuts and you can find small cars that are lacking in major areas like space utilization, engine performance, fuel economy, safety and exhaust emissions. But not all car companies are the same. 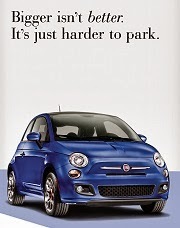 One car company that doesn't take shortcuts is Fiat. Fiat is considered as reinventing the small car in 1936 with the Fiat Topolino. Prior to that car, small cars were just big car shrunk down. It's a very inefficient way of designing a small car. The Fiat Topolino was a car designed to be small from the start and not a shrunk down big car. 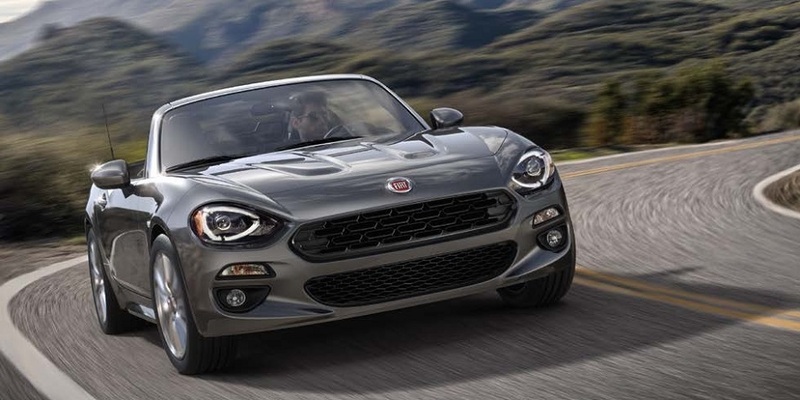 Throughout the years Fiat has set the standard in small car design, winning numerous prestigious European Car of the Year awards. (this award is not like our cheesy car magazine awards, but voted from a panel of highly regarded automotive journalists from all over Europe). 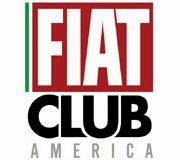 In fact Fiat holds the record for wins of this award. 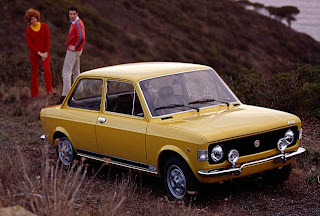 An example is the Fiat 128 from 1969. The car on which nearly all modern front wheel drive cars are based. 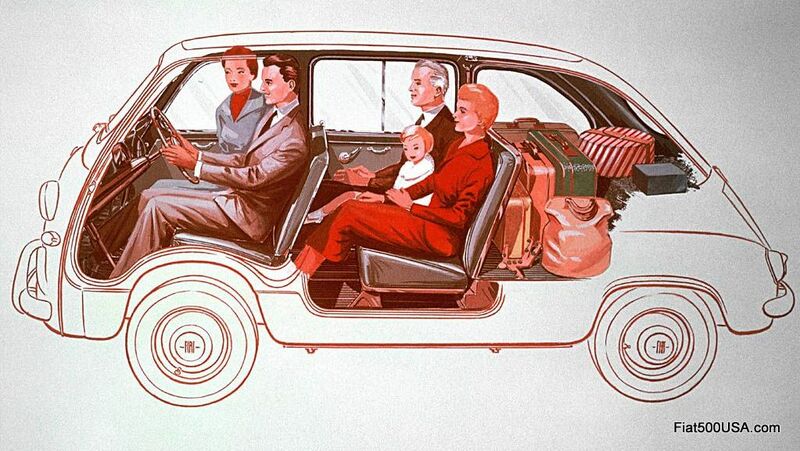 This revolutionary car offered a full 80% of its space to the occupants. It was smaller than a VW Beetle, but had more legroom than a Cadillac Eldorado. 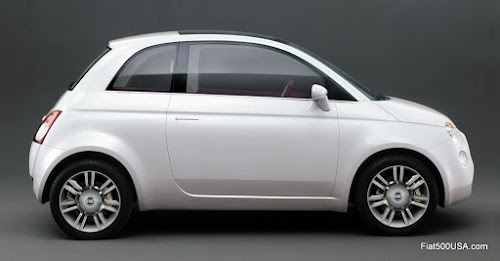 The New Fiat 500 is a car that demonstrates Fiat expertise in small car engineering where you don't suffer because the car happens to be smaller. It is a complete car. No shortcuts were taken in the New Fiat 500. The design has been carefully crafted by experts. The accommodations are generous, the safety is at the top of its class. The performance and fuel economy are top notch. It's low exhaust emissions set the standard. How it drives is what sets this car apart from others. 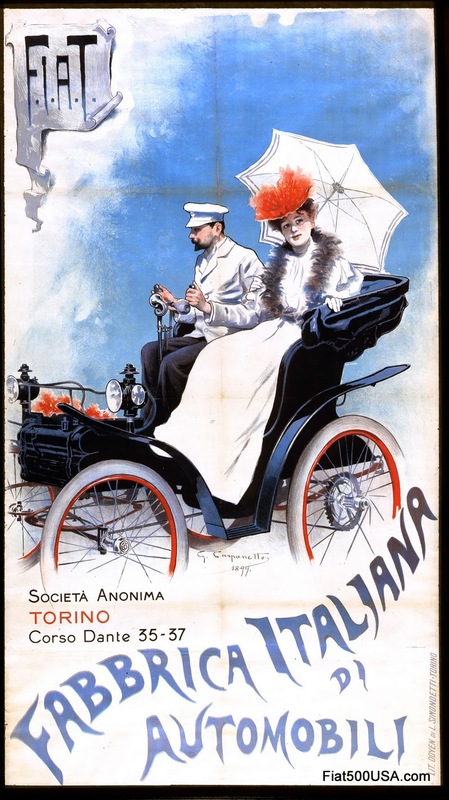 Italian consumers demand excellent performance and drivability. From the hottest Ferrari to the smallest scooters. 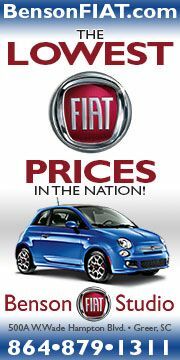 It's an Italian tradition and it's a Fiat expertise. 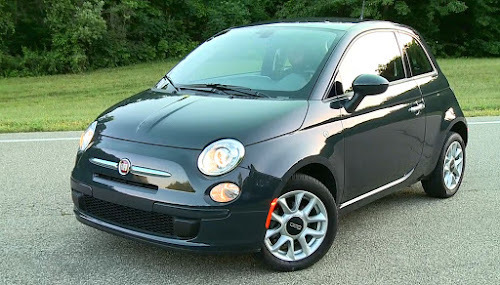 For, although it is small, the New Fiat 500 has a substantial quality and drives with a charisma that comes from a car maker that has a heritage of outstanding automotive design for over 100 years. In the future we'll explore the history of Fiat and the beginnings of the New Fiat 500. 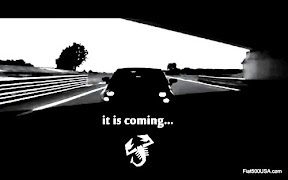 Great news that the Cinquecento will make the journey across the water! Fiat has enormous design talent, which I can verify from my 14 years' experience with a '73 124 Spider, and an '82 X1/9. I'd been missing them so much that, when a the most lovely '82 Spider 2000 turned up on eBay, I just couldn't help myself. I bought the car, and now I await its arrival. I haven't felt this kind of excitement in a long, long, time. How will I keep from crying when she arrives? Che bella macchina...tutte le Fiat sono belli!